Of all the players in the mix for a trade as Monday’s deadline nears, Justin Schultz was always the sure thing. 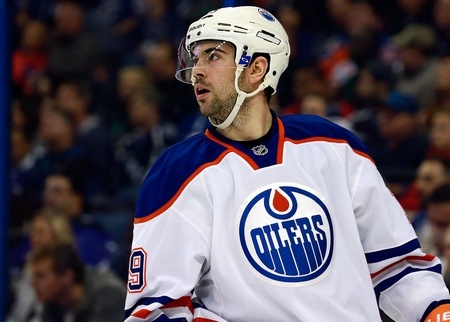 There was never any doubt that the Edmonton Oilers defenceman was going to be on the move. It was just a matter of where and when. On Saturday, the answer came. The Oilers traded Schultz to the Pittsburgh Penguins in exchange for a third round draft pick in 2016’s NHL Entry Draft. The Oilers have retained 50 percent of Schultz’s salary, too, which could be considered a small price to pay to deal the defenceman out of Edmonton. At one point, the 25-year-old defenceman was supposed to be a game-changing player. The second round draft pick of the Anaheim Ducks became an unrestricted free agent after his junior season with the University of Wisconsin Badgers and the Oilers were among the teams in hot pursuit. They signed him in July of 2012. But when it came down to life in the NHL, at least so far, it’s hard to imagine Schultz was worth the initial fanfare. He had a solid rookie campaign, with 27 points in 48 games, and then his offensive levels began to dip. The book on Schultz was that he was poor when it came defensive zone coverage, plus his insouciance frustrated the franchise and the fanbase alike. Soon, he was a problem rather than a prodigy. It could be argued that the Oilers were kind to him. Too kind. They inked him to the maximum entry level contract with maximum bonuses and gave him plenty of ice time upon his arrival. Sure, that ice time was alongside waning vets like Andrew Ference. And sure, the Oilers patched up the rest of his tenure with a duo of “prove it” contracts of the one-year variety. But it’s hard to argue that Schultz didn’t get all the chances to prove himself in Edmonton. Regardless of the backstory, it’s over now and it’s time to move on. The Penguins will give Schultz a fresh start and he’ll be able to prove himself all over again. He’ll be lower on the depth chart and Pittsburgh won’t rely on him to do much, which can really free a guy up. He’ll learn from the likes of Kris Letang and will have Marc-Andre Fleury to cover up his mistakes. And the Oilers have another pick for their trouble. Job done.